Tropic Heroes has a retro-style user interface that reminds me of Strikers 1945 but more simplified and easy to play. 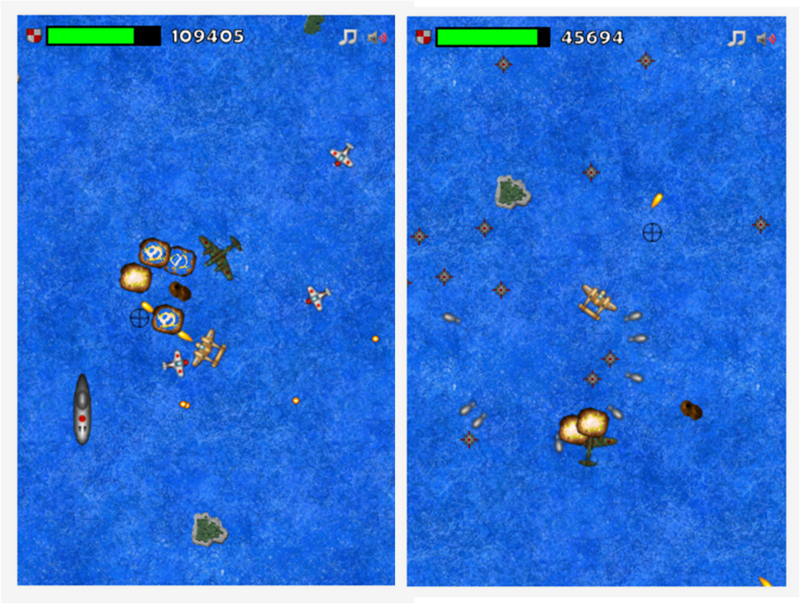 The game starts with your P-38 fighter aircraft, the sole survivor in the tropic sea, on combat with the emerging forces of the enemy. The gameplay is to destroy offensive forces that come from every direction, as well as to survive the series of attacks by maintaining enough life points and gathering powers ups. As you go through the different stages, the level of difficulty increases. Enemies become hard to beat that cannot be taken down by a single attack. While enemies discharge non-stop bullets to take you down, it needs superb strategies to surpass these difficult stages. The app itself is easy to navigate. Being a first time player myself, I am able to find my way around the app with ease. What I like about the game is that it doesn’t have a virtual joystick, all you have to do is tap around to control your plane. Tropic Heroes is a great way to spend idle time. Both campaign and survival modes will test your endurance in this simple yet addictive retro-inspired game.